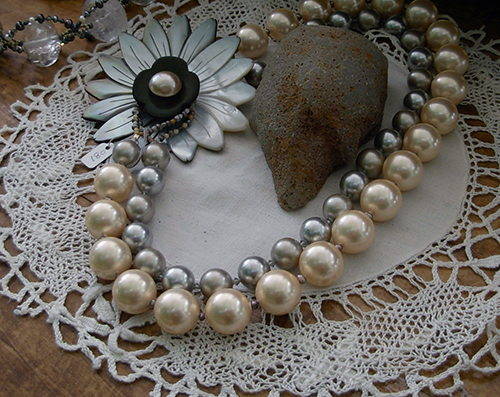 Alice's Bead Company offers exclusive, lovely, one of a kind, Wearable Art. Alice Steuck Konkel, a Milwaukee area artist, designs, hand crafts and personally sculpts each piece individually. There are sophisticated styles to add sparkle to the night, or fun and funky pieces for more casual attire. Check out more of her stunning pieces of wearable art here - http://www.alicebeads.com/.